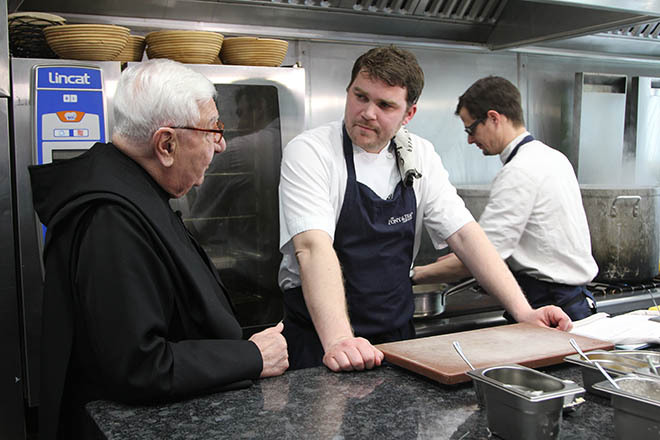 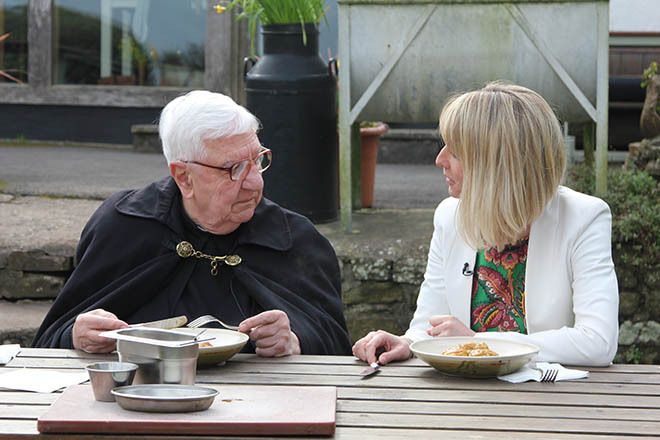 Fr Christopher Calascione featured on BBC Points West news last night (21st March) talking about the publication of the 1793 recipe book. 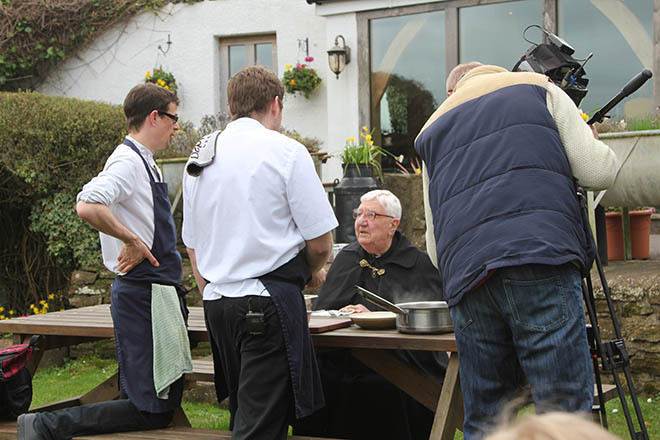 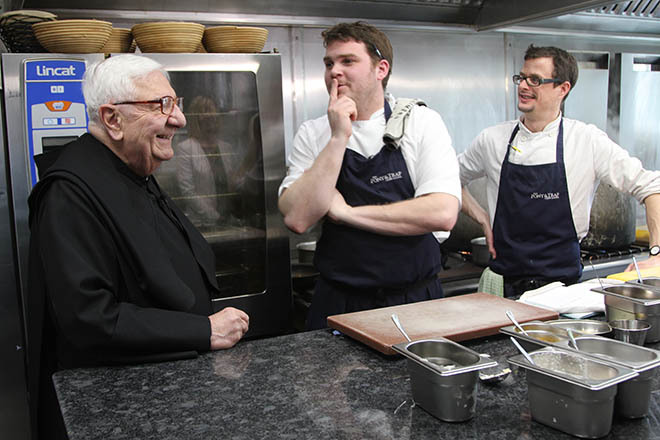 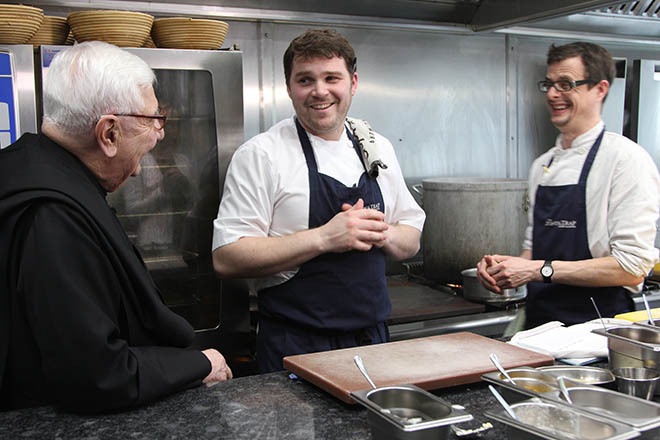 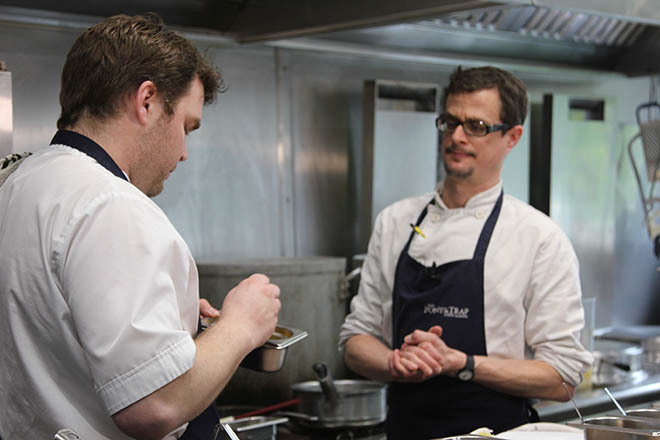 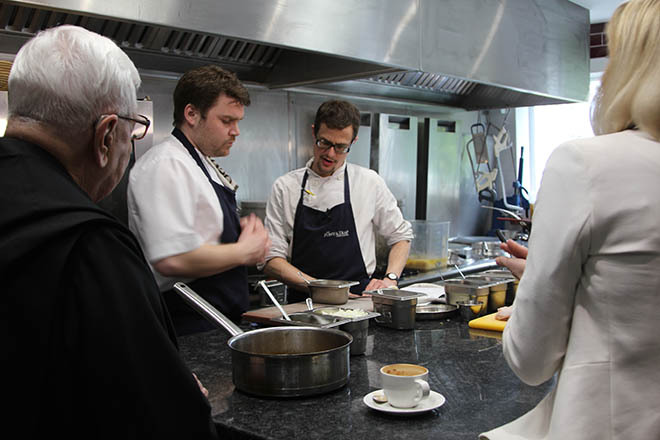 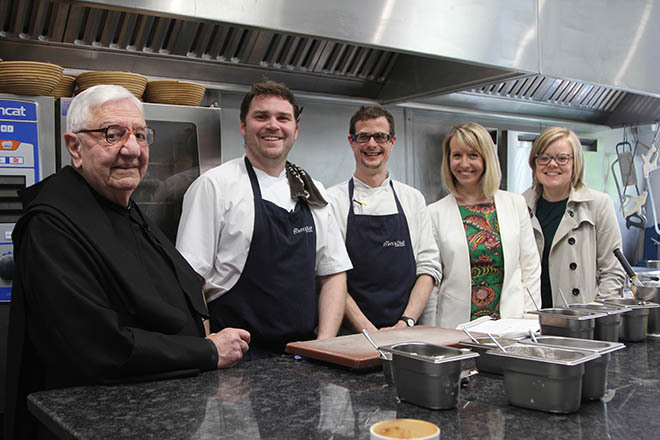 Taking part in a taste test at the Pony and Trap, a michelin starred restaurant in the Chew Valley, the Downside monk sampled the Chicken Curry taken from the original transcription; click here and scroll to 21’30” to view the footage. 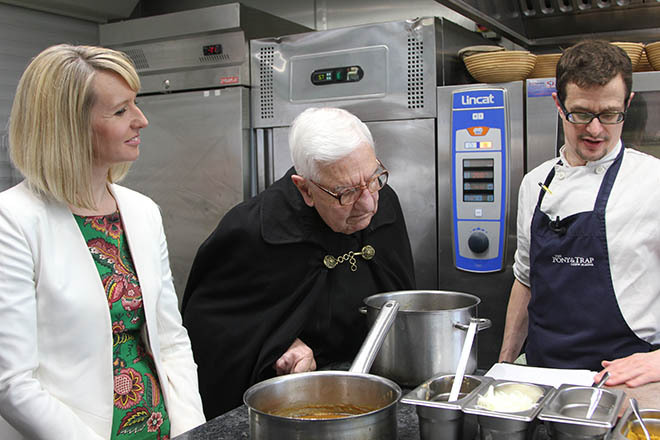 To learn more about the cookbook click here.